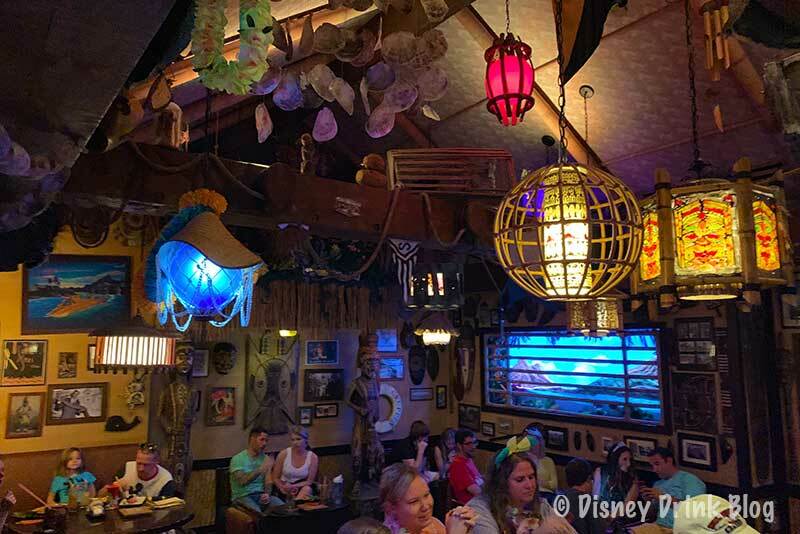 Trader Sam’s Grog Grotto is one of the newest and most popular lounges on Walt Disney World property. This very fun lounge, is located at the Polynesian Village Resort. Just go down the hall at the left rear of the Polynesian Village Resort’s lobby and follow it to the left. 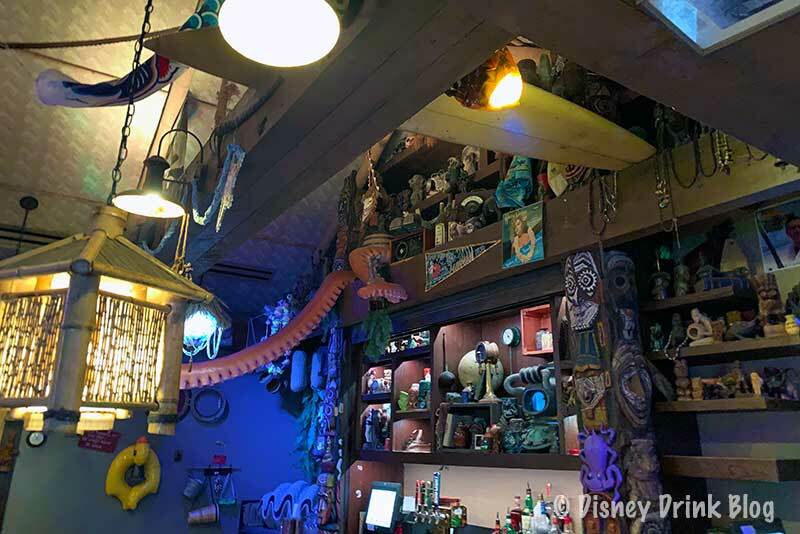 The Grog Grotto has limited seating and can at times have waits of up to two hours to get in! The key to a short wait is to get there early! With a 4 p.m. opening time, people start lining up in the hall outside around 3 p.m. At opening time people will be allowed in until the lounge reaches capacity. At that point they will start taking names and cell numbers and giving an estimated wait time. On our most recent trip we got there around 3:30 and were told to expect a 40 minute wait, which eded up being closer to 50 minutes. As the evening goes on the waits get longer and longer. While you are waiting you can explore the Polynesian VIllage Resort or pass the time in one of the other lounges at the resort. 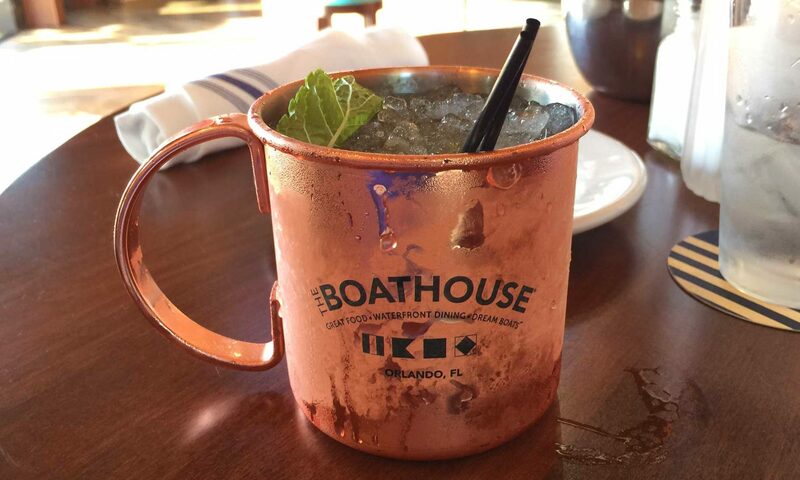 The lighting is dim and the vibe can be rowdy, with servers and bartenders performing their schtick. 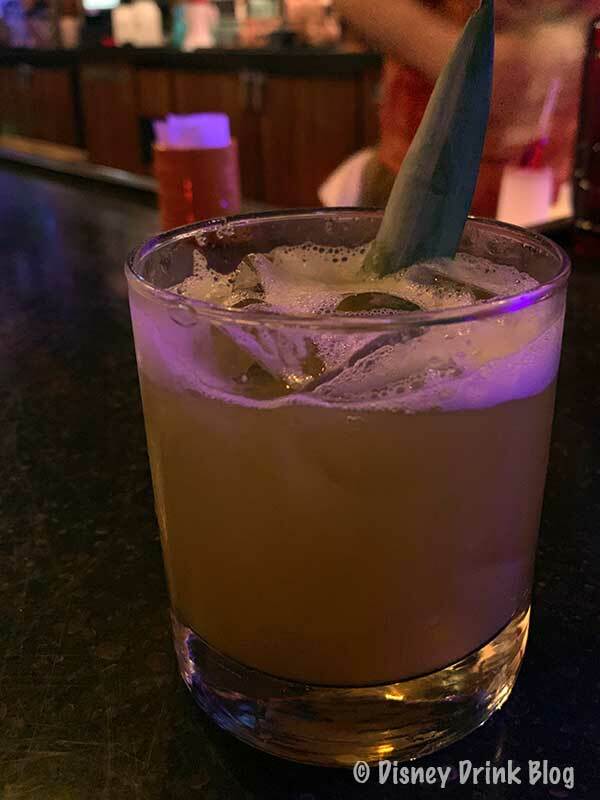 When certain drinks (we won’t spoil the surprise) are ordered the staff launches into set routines and or background atmospheric events happen for example the volcano out the window rumbles when the Krakatoa Punch is served. There are seats at the bar, a long high-top with lots of chairs for multiple parties, and a scattering of regular tables. 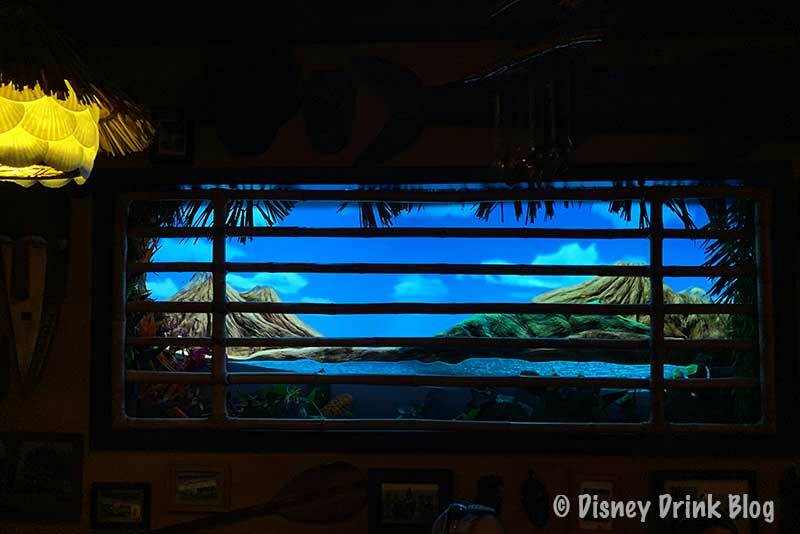 The theme is an island shack bar, with lots of “souvenirs” to look out and island scenery out the windows. 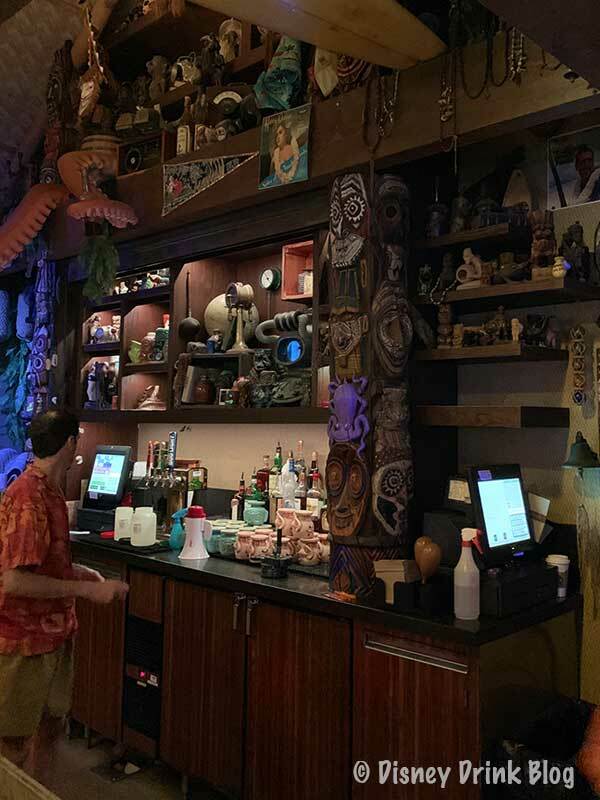 Note: The exact same menu is available just outside at Trader Sam’s Tiki Terrace. This high demand bar is highly recommended if you haven’t experienced it yet, as long as you get there early or have the time to wait. 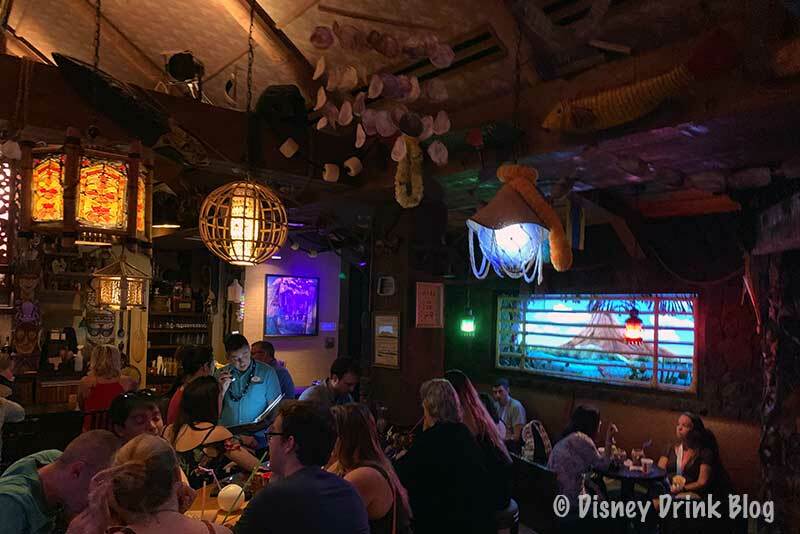 If you can’t get in or don’t want to wait, Trader Sam’s Tiki Terrace, just outside serves the same drinks (cheaper) and food from a walk up window or servers at your table and they have live musical entertainment. 4:00 p.m. – 12:30 a.m.
21 years or older only after 8 p.m. 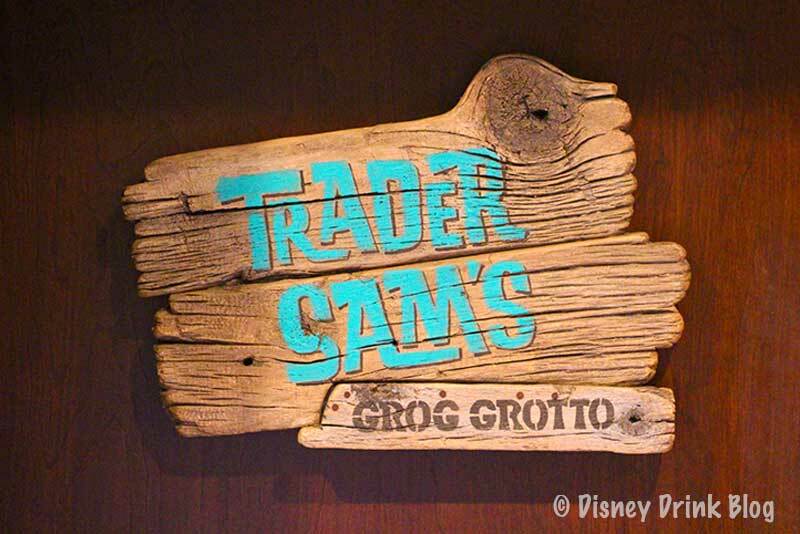 Unfortunately there are no discounts that are available at Trader Sam’s Grog Grotto. 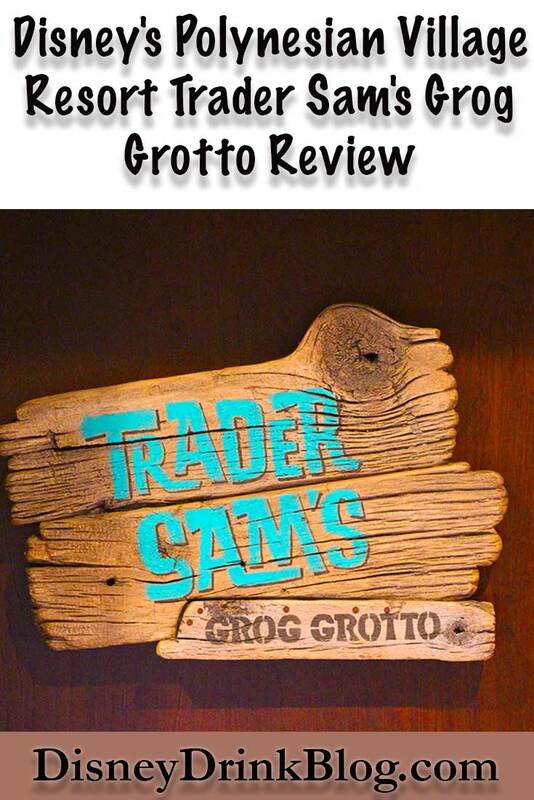 Have you tried Trader Sam’s Grog Grotto? Share your review or leave a comment in the comments section below! A real novel and fun Bar. Pure Disney.